Firstly, we need to install Perl. The following link - http://learn.perl.org/installing/ - contains links to Installing Perl on Windows, OSX, and Unix/Linux. 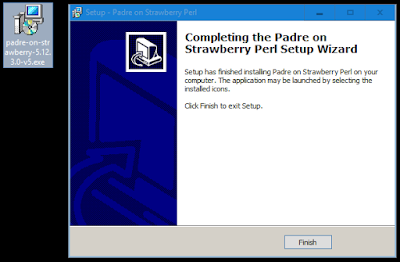 Image: Padre on Strawberry Perl installed! Image: Command Prompt/PowerShell and ‘perl -v’ to verify installation. Below is a very simple Perl script example taken from the NMSDK and ZExplore. Note: I received an error - errno="13001" - using Cluster Management IP address, so added the name of the cluster to my hosts file and this worked.